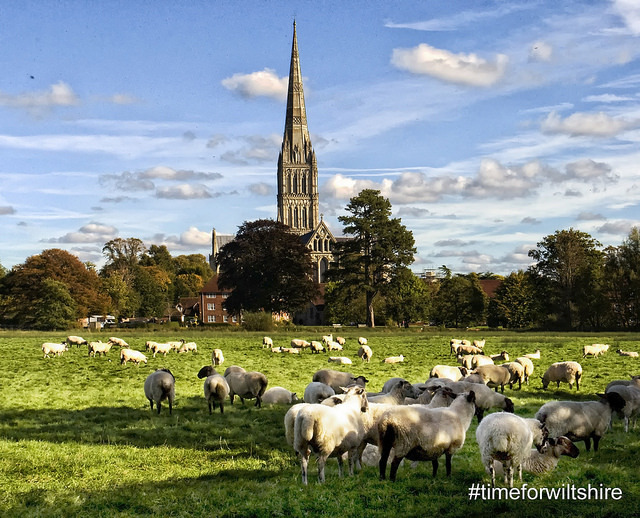 The spire of Salisbury’s iconic cathedral acted as a beacon to the UK travel trade this week during a special ‘Spotlight on Salisbury’ event. Group travel organisers and tour operators from all over the country descended on the famous and historic city to take in a series of tours. The sunshine helped make the occasion a memorable one. Organised by VisitWiltshire and its partners along with group travel specialist company Steve Reed Tourism Ltd of Hampshire, the Spotlight highlighted a number of attractions ideal for groups. Salisbury Cathedral greeted the tour planners and treated them to and in-depth tour of its many fascinating aspects including the work of the stonemason, Magna Carta and news of its very popular Christmas Festival. Mompesson House and Gardens, Arundells – the home of Sir Edward Heath – and the Salisbury Museum were all visited by the tour buyers. The guests saw the accommodation at Sarum College which is right on the tranquil Cathedral Close. They also visited Britford Farm Shop for lunch – an amazing edge of town venue offering delicious homemade food and a warm welcome – ideal for lunch stops for groups. An experience at the Live Escape Room in Salisbury was next on the agenda for the attendees – certainly a unique group occasion and one very much worth repeating. To help underline Salisbury’s great heritage and appeal, Salisbury City Guide Penny May met the group at Salisbury Information Centre and took them on an entertaining and informative tour of the city centre – including St Thomas’s Church, the newly developed Market Place and along the picturesque riverside to see how the artist Constable was inspired to paint his famous picture of the cathedral. Some of the guests stayed overnight at various hotels and accommodation providers including Sarum College, The Red Lion Hotel and Cathedral Close B&B. They also dined in the restaurant of the Cathedral Hotel. Also in attendance were Group Leisure and Travel magazine from Milton Keynes, national coach driver organisation Coach Buddy and the national body for group travel organisers -AGTO. 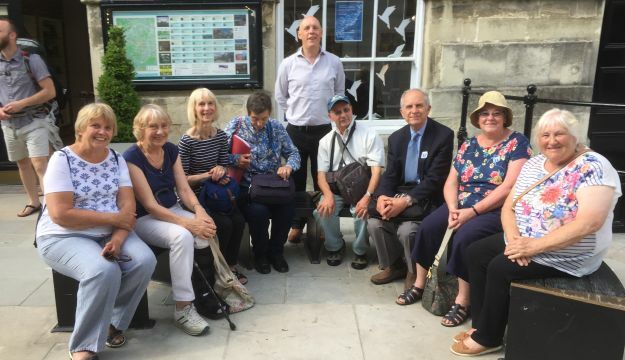 “We were delighted to have welcomed so many group travel organisers, trade press and trade professionals who have been able to experience the delights of Salisbury including ‘things to do, shopping and places to stay, eat and drink’. These familiarisation visits are important to ensure these organisers have first-hand experience of the area so they are well positioned to return with their groups on future visits or for tour operators to add to their itineraries.